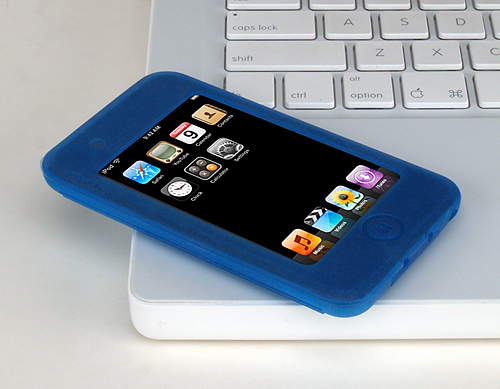 zCover Inc, the leading manufacturer of fashionable silicone protective cases has announced today the release of their iSA touch for the new iPod touch. "This is the latest product line for iPod, iPod touch development of such an extensive line of new iSA touch case in just 5 days after Apple start shipping iPod touch, once again demonstrates our ability to lead the way in iPod silicone protective cases." said Sean Sa, vice president of zCover Inc. "zCover's iSA touch design focuses on intuitive usability while offering protection in its fullest form. zCover has always focused on the merging of function and style." Each zCover iSA touch retail pack contains one protective case, one removable rotary zCover universal belt clip and one cleaning / polish cloth. In its first release of the iSA touch, zCover is offering a selection of four ice series colors to the online consumers. In this first release of iSA touch, zCover offers you a choice of four colors: Ice Clear, Blue, Pink, and Grey. zCover is a pioneer and trend-setter in the fashionable silicone products market. zCoverÂ® iSA silicone cases and accessories have been nominated by Macworld Awards 2006 and 2007 as editor's choice in iPod Accessory Category. zCover products are available at Apple retail stores, Best Buy Canada, J&R and other electronic stores. ZCover is presently seeking partnerships with resellers to distribute zCover products worldwide.